Get ready to learn and play with Disney Baby! 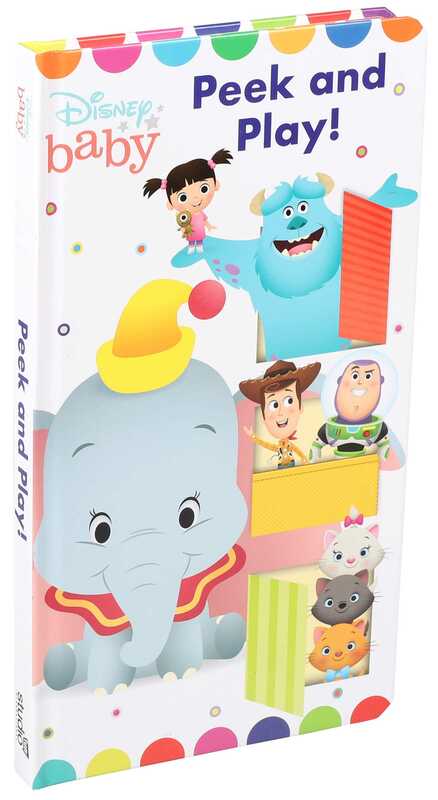 Peek, play, and learn with your favorite Disney Baby characters! Little ones will love lifting the flaps and sliding the sliders up and down in this active early learning book as they count along, spot colors, and learn about opposites. With rhyming text and a touch of Disney magic, this interactive book is sure to be a storytime favorite!